The Key West botanical Garden is the only frost-free tropical moist forest and garden in the continental US. I bet you have sat up for hours on end wondering about this fact. "Anyone know where the only frost free forest is?.....anybody,anybody???" The Key West botanical garden is a "Free" attraction but don't think that it isn't worth a visit, as it is a true Key West secret. Ok, this doesn’t sound like the best place to have a small slice of botanical heaven, but trust us if you follow Jr College Road, turn right just past Bay shore Manor then you will find the little known slice of serenity. It is tucked in between the Florida Keys Aqueduct authority plant and the Key West Golf Course. The gardens are lovingly looked after by volunteers of the Key West Garden Society, and are funded purely by donations. It is true but when you take away the finance from something and do it just for love then miracles can happen, and since 1935 miracles have been happening here daily. 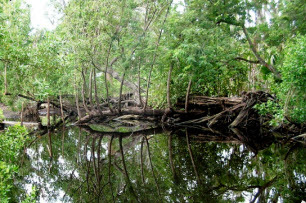 The 11 acre garden is the last undeveloped native hardwood hammock in the Key West and is the only forest–free tropical humid forest and botanical garden in the whole United States of America. This garden homes exotic and native plants, which can be viewed by walking through meaning woodland trails. Don’t be surprised if you spend more time here than you would have expected to see, as it is not just the plants that keep us interested, but numerous birds and butterflies call the place their home too. Turtles wander around, whilst spectacular egret’s soar across the skies searching for food. It is quite amazing that the gardens are here at all, such has been the battering that has hit them through the hurricanes over the years. Just in 2005 alone Hurricane Wilma dropped over 4 feet of saltwater onto the plants and gardens. And that is where the love came in again. The volunteers got involved and managed to save a lot of the property, they also managed to save the 10,000,000 tree that was planted by the National Trust in the United States. 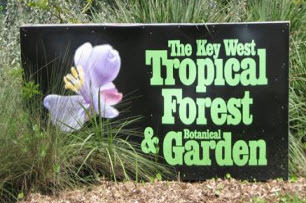 In 2005 the Key West Topical Forest got the pennies together and bought over 7.5 acres which doubled the gardens size. Admission: Free although donations are greatly accepted as you can imagine.